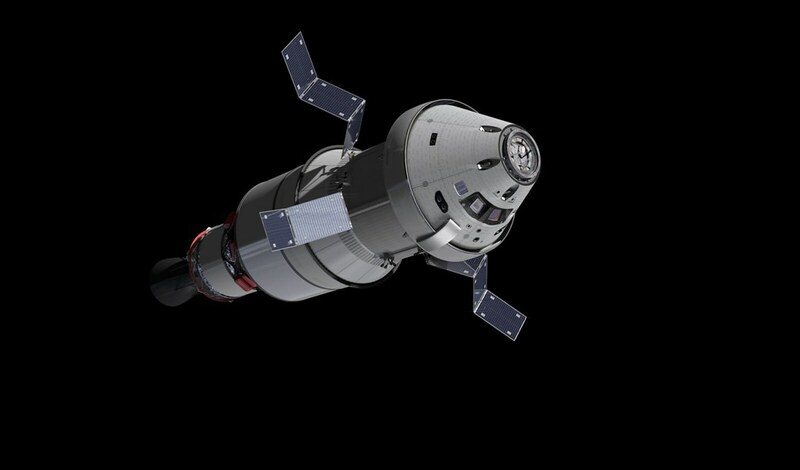 NASA’s Orion Spacecraft to send astronauts on deep-space missions will be powered and propelled by the European Service Module, ESA’s contribution to the project. 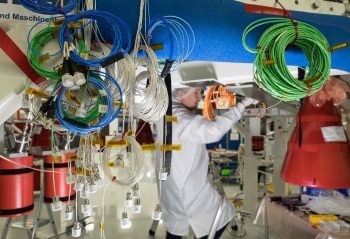 Testing at various stages of development has been ongoing, with upcoming tests involving the European Service Module’s Propulsion Qualification Model (PQM). 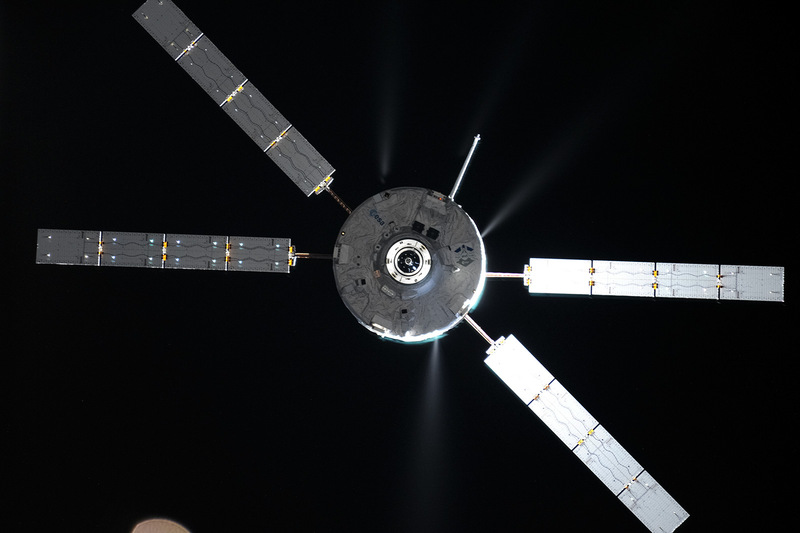 The PQM represents the propulsion system and is crucial for ensuring that all engines and thrusters fire safely and accurately to get the spacecraft where it needs to go. Let’s take a closer look at the PQM’s engine specs. 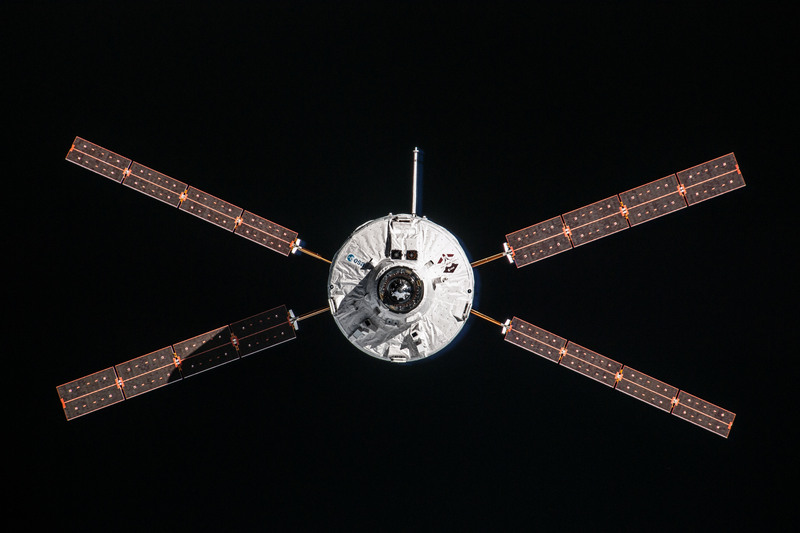 PQM has 21 engines divided into three classes: 1 primary Orbital Maneuvering System Engine (OMS-E), 8 secondary auxiliary thrusters, and 12 reaction control system (RCS) thrusters. As the primary engine, the Orbital Maneuvering System Engine (OMS-E) is a liquid propellant rocket engine that will provide the thrust needed to perform the major manoeuvres during the Orion mission. It is the same engine used in the Space Shuttle programme and is reusable. The 8 auxiliary thrusters provide thrust for medium and large manoeuvres (such as orbit corrections). In particular, they serve as a backup to the OMS-E.
RCS thrusters allow the spacecraft manoeuvring and attitude control. They enable small bursts of thrust in any direction and are key to manoeuvring during orbits and re-entry, docking, and orientation control. The European Service Module flight model itself has a total of 33 engines, including the OMS-E and 8 auxiliary thrusters, but 24 rather than 12 RCS thrusters compared to PQM. The extra set of RCS thrusters have been left out of the Propulsion Qualification Model, as they are not required to verify the overall propulsion system and are therefore redundant. 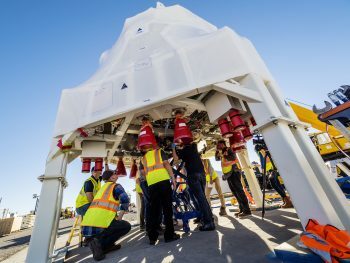 Designed by Airbus and assembled and integrated by OHB Sweden, the model has arrived at the White Sands Testing Facility in New Mexico, USA for testing, including the firing of all engines. The upcoming test campaign is being overseen by Airbus DS in coordination with NASA and ESA.